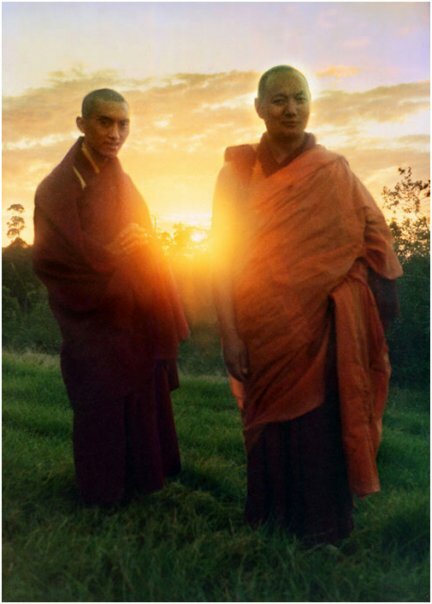 The FPMT Endowment Fund was established in order to provide the resources necessary to actualize the vision of Lama Yeshe and Lama Zopa Rinpoche and the mission of the organization continuously and without interruption for centuries to come. FPMT’s core mission is to provide the resources for unparalleled opportunities to listen, reflect, meditate, practice and actualize the unmistaken teachings of the Buddha and based on that experience enabling the Dharma to spread to sentient beings. These resources include the International Office and all of its many Dharma activities from vast educational programs to support for a network of more than 150+ centers, projects, services and study groups located throughout the continents of Asia, Australia, Europe, North and Latin America. FPMT also seeks to preserve the Mahayana lineage through the charitable projects that it supports such as, among many others, the Sera Je Food Fund which has been providing vegetarian meals for all of the monks at Sera Je Monastery in India since 1991. A complete list of all of the current FPMT Charitable Projects is available here. The Foundation has overcome many challenges and our history is something to contemplate and deeply rejoice about. FPMT’s Spiritual Director, Lama Zopa Rinpoche, has had a truly immeasurable impact on where we stand as an organization today. People meet Rinpoche and often their lives are changed forever. They get a glimpse of the value of compassion, or taste the happiness of the Dharma and want to support the Foundation whole heartedly. So many are devoted and inspired by Rinpoche’s example and in effect we have seen an immense pouring of generosity from students everywhere. We have seen steady growth during the past five decades. Lama Zopa Rinpoche has charged the Board of Directors of FPMT with the responsibility for providing stewardship for the organization and continuing the work of implementing his Vast Visions during transitions that will inevitably come during the years ahead. The FPMT Endowment will offer the support and assurance we need during these transitions and for every transition to come as we carry on into the next generation of Dharma activity. 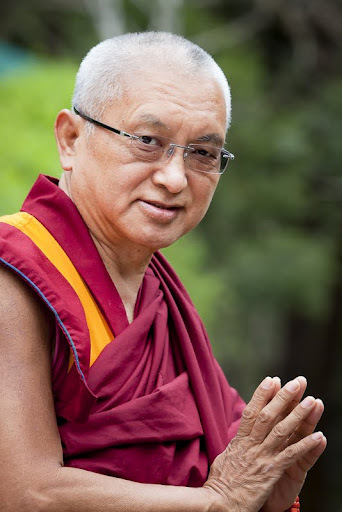 The FPMT Endowment plan provides a framework for raising and managing the funds that will be necessary for the Board of Directors and the International Office to carry on the work of Lama Yeshe and Lama Zopa Rinpoche during the succeeding decades and centuries that lie ahead for the organization. The FPMT Endowment is essential to enabling the organization to continue its core operations by assuring that it has what it needs to continue to serve beings through education, center services, charitable projects, our vast online resources and work of the FPMT International Office. An endowed gift is one of the best forms of financial giving. Because it will be carefully invested to generate income and appreciation in value of the principle, it is a gift that can provide for many generations. Kachoe Dechen Ling, Aptos California. Photo by Chris Majors. As a dependable source of funding, gifts to the endowments will have a major impact on the performance and capabilities of the organization. This stability allows freedom for us to operate and grow without the challenges of an insecure budget, or costly interruptions like resource and staffing cuts. With the confidence and continuity that comes from endowment revenue, we can build a broadened vision and our work will creatively mature. The FPMT Endowment will be a collection of unrestricted and restricted funds. Unrestricted gifts to the Endowment will enable the Board of Directors of FPMT to use the income generated from the gift where most needed to further the mission of the organization. The principal of unrestricted gifts intended for Endowment will be maintained and preserved in the endowment and the appreciation and income will be available for general Foundation purposes. The Foundation encourages gifts in which the donor does not restrict the purpose of the endowment, but rather states a preference for the purpose. Unrestricted gifts are preferred because they allow the Foundation the most flexibility in its financial planning. It is the Board of Directors’ policy, depending on and in accordance with the wishes of the donor, that the principal of an unrestricted to gift to the Endowment shall be preserved in order to remain in the Endowment. Unrestricted gifts to the Endowment may also be designated, at the request of the donor, as a Quasi Endowment gift which empowers the Board of Directors with discretion, when circumstances warrant, to use not only the income and appreciation, but also the principal to advance the mission of the organization. Restricted gifts intended for Endowment will be restricted to particular purposes approved by the Board of Directors in accordance with the intention of the donor. The donor can restrict the terms of an endowment by means of a “gift instrument,” a document signed by the donor that states the donor’s intent. When a donor restricts the purpose of the gift, the donor will receive a gift instrument setting forth the purposes of the gift signed by the donor and a representative of the organization. Named Endowments intended to honor the Donor, the Donor’s family members, others such as Lineage holders within the organization, or a particular charitable project may be established. The FPMT Endowment will be governed at all times by the Board of Directors of FPMT or an Endowment Committee established by the Board of Directors. Funds set aside for Endowment will be carefully managed in order to preserve principal and to achieve growth and income to further the mission of the organization as approved by the Board of Directors or the Endowment Committee. To achieve “real” growth of the endowment for future needs. 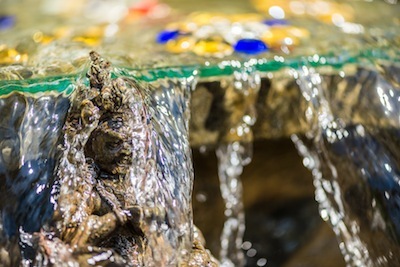 Water bowl offering on the beautiful altar set up next to Lama Zopa Rinpoche’s thrown for the teachings organized by Gendun Drupa Center, Martigny, Switzerland, November 2018. Photo by Harald Weichhart. Creating an endowment is surprisingly easy and a FPMT Development officer will work directly with you to help you make the most of your giving. You may want to help build the general fund, or create a new fund in a loved one’s name. Maybe you have a special connection with a project and want to protect its longevity. We will work with you one-on-one so that your investment is established according to your wishes and goals, and ensure it will bring the most benefit for the activities and mission of FPMT. Imagine the merit of having a dedicated fund that supports the Buddha Dharma and sentient beings for more than one hundred years. FPMT’s incredible amount of compassionate activity is possible through the blessings and work of our teachers, the devotion and service of thousands of students and friends, and the generosity of donors worldwide. Together as an organization we are benefitting so, so many. But we need your support now, whatever you are able to give, is a great act of merit and a great service to FPMT’s mission and activities for the coming years. 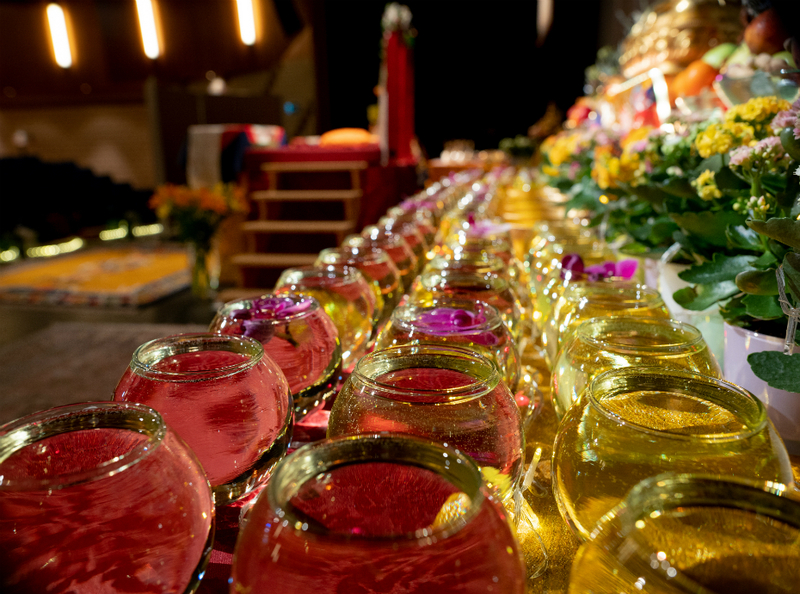 In addition to monetary gifts, the FPMT Endowment may also be supported with gifts of stocks, bonds, the proceeds of life insurance policies, real estate and other types of assets. Gifts to the Endowment are tax deductible. For more information about the FPMT Endowment or to talk to a development officer about making a gift to the Endowment please contact Donor Services at 503-928-7111 or by email at donations@fpmt.org. Thank you for being a part of our compassionate work.